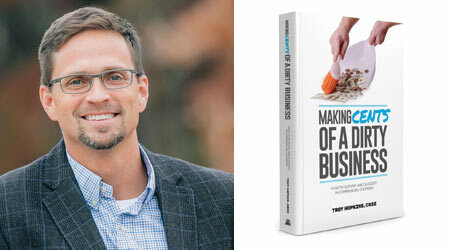 Troy Hopkins’ new book, “Making Cents Of A Dirty Business,” is a practical guide for starting, running and succeeding in the cleaning business. It is based on Hopkins’ experience as an owner/manager and on a survey of 5,000 cleaning contractors. Hopkins highlights seven of the biggest challenges that building service contractors face and explains how he was able to work through them and what he learned in the process. “Making Cents Of A Dirty Business” covers strategies on cash flow, hiring and recruiting, obtaining and retaining customers, dealing with difficult customers, building a solid management team, and creating a positive culture. Hopkins gives advice on how to be successful in these areas as he brings awareness to potential pitfalls. This is not a book of theory. 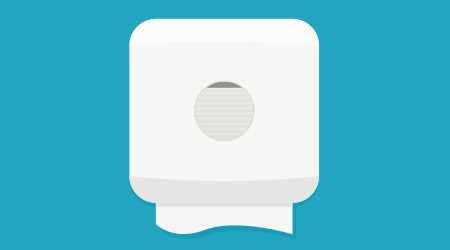 It is practical knowledge that has been tested and applied in a janitorial business. In addition to his own experiences, Hopkins included survey results and creative ideas from hundreds of other building service contractors. I recommend this book to anyone who is trying to build a janitorial service business or who is running a division/branch of the business. This is a valuable guide on how to build a professional company, maintain a professional image, and even how to exit the business. I wish I could have read this book 20 years ago when I was just getting started. I would have saved myself a lot of money and heartache. The strategies in the book are timeless.